If you search for a definition of necktie, you’ll find that it says "a large band of fabric worn around the neck under the collar and tied in front with the ends hanging down as a decoration". But where did it come from? 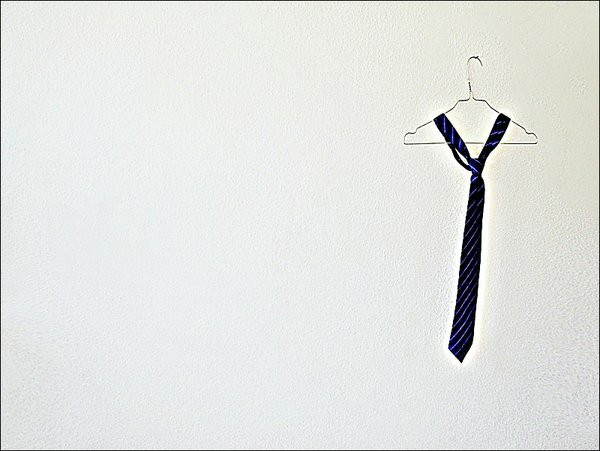 What’s the purpose or meaning of wearing a necktie? Is it just to embellish one’s outfit? Or does it fulfill other purposes? Throughout history, men have always found it necessary to tie something around their neck, whether it’s been a scarf, a string or any other piece of cloth. Early examples date in different parts of history, from Ancient Egypt, where a rectangular piece of cloth was tied and hung down till the shoulders to show social status, to China, where statues around the grave of Emperor Shi Huang Ti all bear a piece of cloth around their necks, which is considered an ancestor of the modern necktie. Also in the Roman Empire, Roman orators wore neckerchiefs to keep their vocal cords warm. But the real expansion of neckties in Europe appeared in the 17th Century, in the time of the Thirty Years’ War (1618-1648) when Croatian mercenaries in French service wore their traditional small, knotted neckerchiefs, it aroused the interest of the Parisians, specially of Louis XIV. The etymological root of the word necktie comes from that era, Cravatte, in French, which they took from the Croatian word “Croatta”. It wasn’t long before this new style came to England where soon no gentleman would have considered himself well dressed without some sort of cloth around his neck. And if it was more decorative, then it was more fashionable and better seen. It became very important that at the beginnings of the 1800s, according to the Neckwear Association of America, to touch another man’s cravat in this decade was taboo and a catalyst for a duel! Soon, a book was published, Neckclothitania, where it illustrated 14 different ways to tie a cravat. These change the use of the word cravat to “tie” in reference to men’s neckwear. Another book was also brought upon by Honore de Balzac, The Art to Bear a Necktie (1827), in which Balzac described in it the aesthetical principles of bearing a necktie. At this time, many Europeans wore neckties with various sizes and styles of tying according to the traditions of where they came, making it more recognizable to their country of origin, such as Russia, American, Irish or Italian. Also, the style of tying symbolized interesting themes such as Diplomacy, Loyalty, Travel, etc. They also represented the individuality as well as the social status of the wearer through the different shapes and styles of tying, something that can be applied with the same force today. 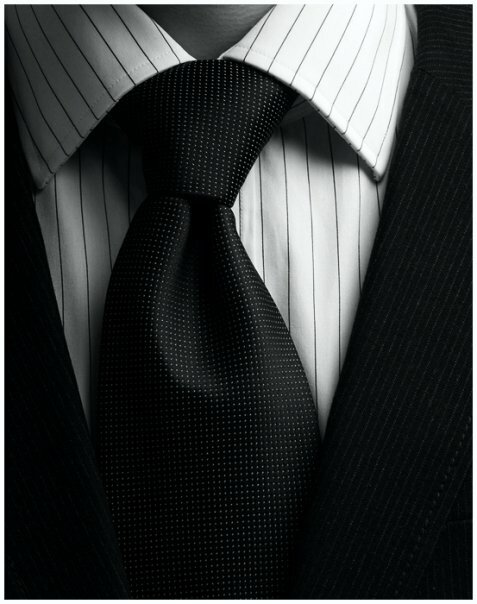 After entering the 19th century, the necktie accepted a more simple and universal shape. The custom was to wrap it around the neck and to loop it into a knot. Now, at the beginnings of the 20th Century, French fashion designer invented the first variation of a “designer tie”, which was made from more expensive materials and decorates with patterns inspired by the cubism and art deco movements. It was noted that art had become involved with the necktie. The famous poet Bodelaire said: “The true modern artist is he who succeeds in showing the epic side of daily life and to show how much poetic we are, even in the choice of neckties”. There was a necktie that reflected the ideology of artistic movements, like the futurists, who interpreted the necktie by creating an anti-necktie made of a hard shining metal. The surrealists started to depict everything on the necktie, from dreams to the everyday life. During the beginnings of WWII, neckties became wider and were adorned with unique patterns, symbolizing freedom of expression. Then in the 1950s, neckties became thinner and less decorative. Further on, the trends changed again, when Warren Beatty starred in the movie Bonnie and Clyde, which revitalized the American Gangster trend of wearing white ties on dark shirts. In 1970, Elvis Presley stopped wearing his plain black tie and introduced the kipper to America, a tie known for its extreme breadth and garish colors and patterns. Even in politics, Reagan wore a distinctive tie knot throughout most of his presidency, the Windsor tie, invented by the Duke of Windsor which was a wide, triangular knot placed on shirt collars. Today, popular men’s neckties are slightly wider than those of the 1960’s, and more colorful. 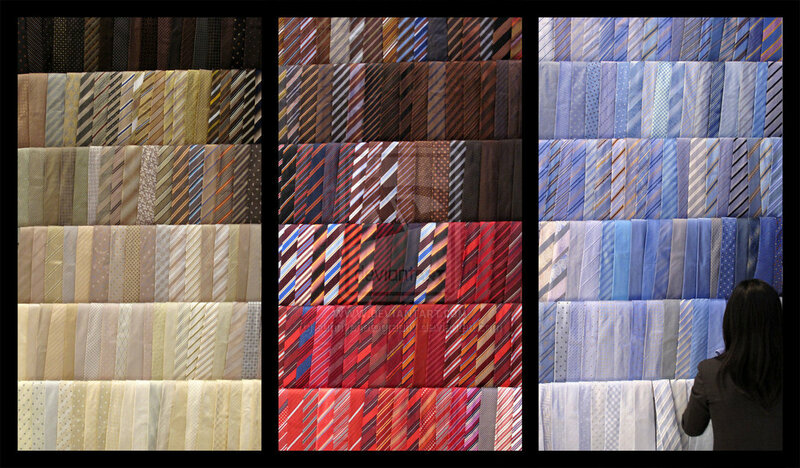 Some neckties reserve the classic size of 3”-4”. At the end, it comes to the choice where we have to decide what suits us best, if we want to be trendy and take a new look on the style of our necktie, or if we consider ourselves to be more inclined for classic look. One thing is for certain, since its birth, the necktie has changed the way we dress and the way we are perceived when wearing one. I myself like the thin neckties, strong color over white shirts, but the best way to see what really suits you is to experiment the different styles. And remember, wearing a tie, even if it’s not for a special occasion, can make your day special.